Virtual reality headsets provide a fully immersive entertainment experience, whether you’re looking to watch 360-degree videos, play games or go places you’ve always wanted to vislt. After testing and reviewing over a dozen VR headsets, here’s our recommendations. Mobile: Our top mobile VR headset is the Oculus-backed Samsung Gear VR ($129). There’s a plethora of apps, games and experiences — with fresh updates nearly every week. In addition, the headset now features a new Bluetooth controller and voice command for an even more immersive experience. And if you’re one of the many people out there that don’t own a Samsung phone and are looking for an affordable piece of gateway tech, check out the Magiove 3D VR. It tops our list of VR headsets under $40. PC: If you’re looking for a VR experience on your PC, the Oculus Rift (starting at $599) is living up to the hype, especially now that the Touch Controllers are available. 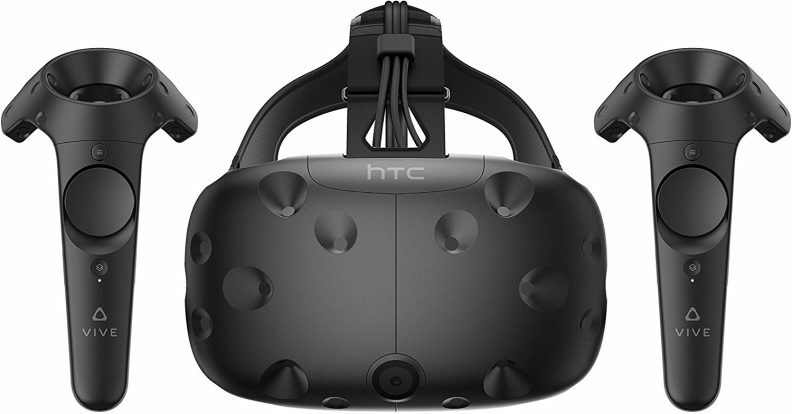 The HTC Vive ($799) takes things a step further and lets you actually walk through virtual worlds as well as poke and prod (and shoot) with your hands, thanks to its included touch-enabled controllers. Console: Console gamers only have one option in the new PlayStation VR ($399). 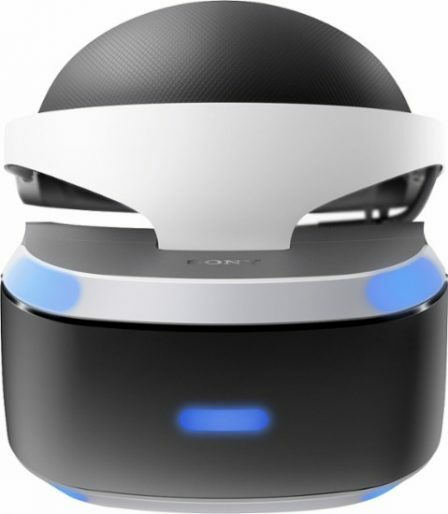 But it already has some great Triple-A titles and is the most affordable high-end VR system for the millions of gamers who own a PlayStation 4. Even as virtual reality headsets continue to increase in popularity, Intel and Microsoft are looking ahead to merged reality (MR) which combines VR and AR allowing wearers to interact with the virtual world your living room. Intel’s Project Alloy is one of the first headsets to debut the technology, but Microsoft has partnered with several companies to bring their own MR headset to market sometime this year. 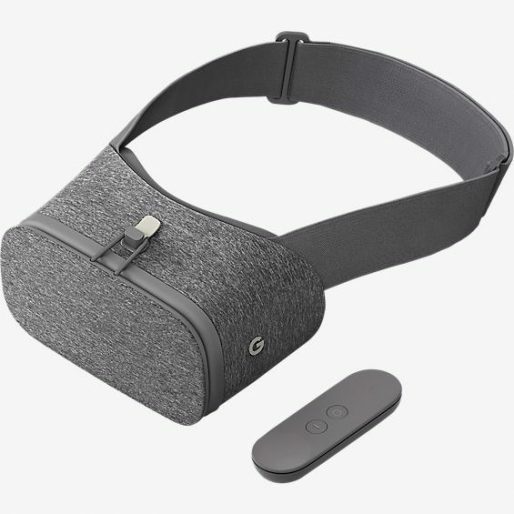 Not to be outdone, Google has announced that it will be releasing several Standalone VR headsets with HTC, Lenovo and Qualcomm. The company will also be rolling out a software update dubbed Daydream 2.0 Euphrates. DisplayLink has started showing off DisplayLink XR, its wireless module solution, which will allow you to walk around your virtual space without a bunch of wires tethering you to an expensive desktop or laptop. Attached to the back of a VR headset, the company’s network display technology can support a pair of 4K monitors with a 120-fps frame rate over Wi-Fi of WiGig (wireless Gigabit). The following is a list of our best picks for virtual reality headsets. It doesn’t matter if you’re on a budget, want all the bells and whistles, or want an untethered device, there’s a VR device for everyone. In our HTC Vive review, we called it “the total package.” At $799, the headset provides the most immersive VR experience on the market. In addition to the headset, the Vive leverages its proprietary room-tracking Lighthouse technology, which allows wearers to physically traverse the virtual worlds developers dream up. The Vive’s Chaperone technology creates a visual grid so you won’t walk into a wall or trip over a pet curious about what you’re wearing on your head. That in and of itself is revolutionary, but HTC ups the ante with controllers that act as surrogate hands in VR. These enable you to push buttons, direct air traffic or shoot down space pirates as needed. The HTC Vive requires a significant amount of space to be enjoyed — a dedicated playroom is recommended — and you’ll need a powerful PC to partake in the fun, but overall it’s the best VR headset you can buy. As the first PC-powered headset to hit the market, the Rift offers a growing library of games and apps, along with an easy setup and a surprisingly light and comfortable design. From the first time you take a plunge into the human bloodstream, inject a virus into an unguarded computer node or zip through the air via grappling hook, the Rift is chock-full of wow moments. Best of all, it doesn’t require an entire room to work, though you will need a PC with some pretty powerful specs. Since Facebook owns the Oculus Rift, you can expect this device to be on the forefront of social VR experiences in the future. Oculus recently gave Rift fans the ability to take a walk on the virtual side with the Touch Controllers, which add room-tracking and realistic hands to the virtual reality experience. The $399 PlayStation VR finally brings virtual reality to consoles and features one of the best VR game libraries we’ve seen yet. Sony’s stylish and cozy headset already offers exclusive heavy hitters like Batman: Arkham VR and Star Wars Battlefront: X-Wing Mission, as well as established VR hits such as Eve: Valkyrie and Job Simulator. In our full review, we praised the PlayStation VR’s ease of use, intuitive Move controllers and impressive publisher support. 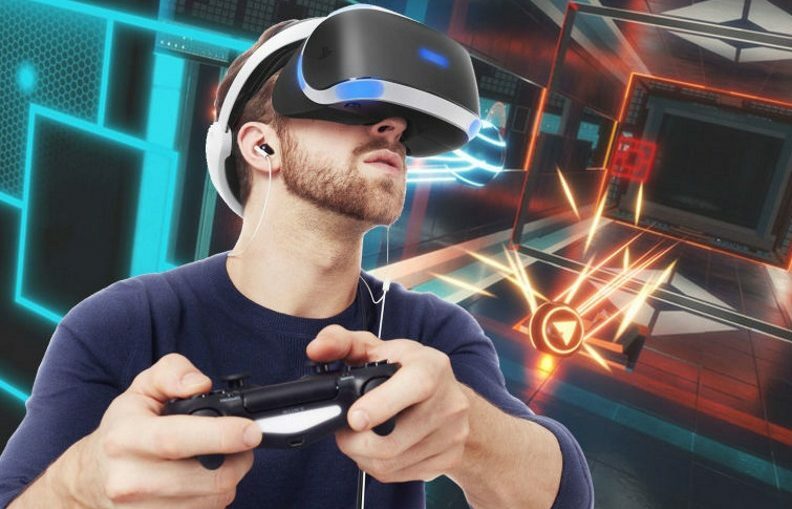 If you already have a PS4, PlayStation VR is far and away the most affordable high-end VR option out there — heck, you can get the console and the headset for less than the cost of an HTC Vive. To coincide with the launch of the new Galaxy S8 and S8+, Samsung has once again revamped the Gear VR, debuting a new color and a new peripheral in an effort to make your virtual reality experiences that much more immersive. The addition of the controller adds a tactile experience to certain games that couldn’t be achieved with a traditional gamepad. The ever-growing library is a cornucopia of new games and apps that have to be experienced to be believed, and you can access it all via voice commands. Made of comfortable microfibers and available in several different colors, Google’s Daydream View is like nothing we’ve seen before. Powered by either the Pixel or Pixel XL smartphones, Daydream View offers content, including the J.K. Rowling’s Fantastic Beasts and Where to Find Them experience. More than a simple VR viewer, this aggressively priced headset comes with an easy-to-use remote. This article was originally published by tom’s guide. Read the original article.